↑ Fritz Allhoff,Scott C. Lowe. The Philosophical Case Against Literal Truth: Russell's Teapot // Christmas - Philosophy for Everyone: Better Than a Lump of Coal. — John Wiley and Sons, 2010. — Т. 5. — P. 65-66. — 256 p. — (Philosophy for Everyone). — ISBN 9781444330908. ↑ Fritz Allhoff, Scott C. Lowe. The Philosophical Case Against Literal Truth: Russell's Teapot // Christmas - Philosophy for Everyone: Better Than a Lump of Coal. — John Wiley and Sons, 2010. — Т. 5. — P. 65-66. — 256 p. — (Philosophy for Everyone). — ISBN 9781444330908. ↑ Russell, Bertrand. "Is There a God? " (PDF). 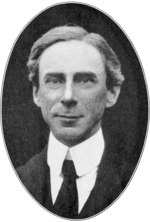 The Collected Papers of Bertrand Russell, Vol. 11: Last Philosophical Testament, 1943–68. Routledge. pp. 547–548. Retrieved 1 December 2013.